As technology continues to race forward at a blistering pace, we continually see old classics getting revamped for a new generation. Some of the more interesting reworks are motorcycles. Previously bastions of loud and proud engines ripping up and down the street are becoming more and more modern. 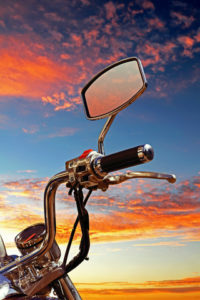 While some may scoff at the new direction that motorcycle manufacturers are taking, it’s important to note that these efforts are largely to expand the audience and grow interest in this much-beloved hobby. A great example of reaching out to those new to the motorcycle scene is the new Honda Riding Assist-e, a new electric motorcycle that is focused on beginner riders. This bike has a low center of gravity, low seat, and a gyroscopic self-balancing system that is designed to keep the bike balanced while new riders learn the fundamentals of riding. This system only works at low speeds, but still offers beginners an easier learning curve which may help more get into riding, particularly those who had previously been on the fence. Honda has also joined with other major manufacturers BMW, Yamaha, KTM, Kawasaki, and Suzuki in creating the Connected Motorcycle Consortium, an alliance determined to integrate motorcycles into the cooperative intelligent transport system. This system allows technology in automobiles to communicate with one another and is designed to help prevent accidents. While traditionally motorcycles have had trouble with integration into this system, the CMC is determined to develop unique technology that will be available across all manufacturers. No matter how old, new, analog, or digital your bike may be, it’s important to think about where and how you store it. You’ve already invested so much, why not give it the respite it deserves in the climate-controlled indoor storage of STORExpress. With our 24/7 video surveillance and electronic keypad access, you will have peace of mind while also having the flexibility to ride when you want. With month – to – month contracts you never have to worry about getting locked into a long-term contract again. What are you waiting for? Go to www.storexpress.com to find the location nearest you today!